The Taiwanese consumer electronics company HTC is probably working on a smartphone that will sport one of the first Android One OS breeds out of the box. 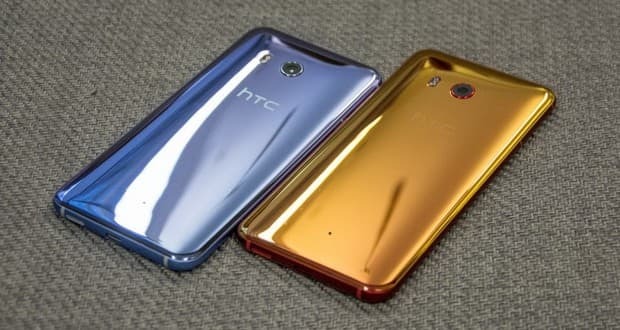 Recently, a twitter post made by LlabTooFer has revealed that the new HTC U11 Life will sport a sack of glaring features with this newbie OS. The post has gone viral since the previous leaks from this group were proven true. Rumor has it, the upcoming model will join the Android O line up with the Mi A1 and Moto X4. As per the suggested leaks, the phone will come with a 5.2” screen with a resolution of 1920 x 1080 pixels. Powered by Qualcomm Snapdragon 630 the phone seems to harbor decent specifications of a quality, in-trend phone. As released it will sport two different variants with respect to its hardware specifications among which one will bear a 3GB RAM with 32 GB internal memory and 4 GB RAM with 64 GB internal memory. No information was leaked about its external storage capacity. Housing a 2600 mAh battery, the phone comes with an Ingress Protection rating of IP67, suggesting the phone will be dustproof and will be able to withstand water immersion up to 1 meter. Optics wise, the leaks suggest that the phone will sport a 16 MP front and rear camera. What’s more? The phone will also be equipped with Edge Sense feature that lets you squeeze the phone to perform other activities. Coming from the name, it is an extension of the HTC 2017 flagship phone HTC U11 that received a lot of appreciation from the geek community. Currently, the device costs a whopping 51k and therefore, how well HTC U11 Life will do will depend on various non-technical issues.